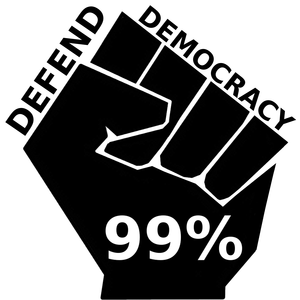 Asia Provocateur: Statement by the Assembly for Defense of Democracy - "Election = Solution, Illegal PM = a cul-de-sac"
Statement by the Assembly for Defense of Democracy - "Election = Solution, Illegal PM = a cul-de-sac"
Published with permission of the AFDD. The protracted demonstrations led by the People's Democratic Reform Committee (PDRC) during the past six months have clearly indicated a collusion among the PDRC, the Democrat Party, various courts, the Election Commission of Thailand (ECT), some Senators and certain independent regulatory agencies. Concertedly, they have made impossible any solution based on the rule of law and democracy. Key sections of the Constitution and other laws have been misinterpreted and misapplied to crush political opponents and justify a series of blatantly illegal actions. The thuggish exercise of power has led to widespread violations of the right to life, person and property of the people as well as infringement of the lawful authority of various governmental agencies. Such defiant actions have been taken simply to bring about a political vacuum and turn the country into a failed state, paving the way for the military to take power. Even after the Constitutional Court has ruled to terminate the ministership of the Caretaker Prime Minister, Ms. Yingluck Shinawatra, and nine other Ministers, an attempt is still being made to impede further performance of duty by the remaining cabinet members so as to bring about a complete paralysis of the administration whereby no fresh elections can be held. Every effort is being geared toward misapplying the law and installing an “illegal Prime Minister”. The process has caused deep resentment and confusion among the public. 1. All political actors must refrain from any breach of the Constitution. Any interpretation of the Constitution against democratic principles must be rejected and overturned. The arbitrary usurpation of power beyond what is provided for by the law must be stopped. In particular, any move by the Vice-President of the Senate, Mr. Surachai Liengboonlertchai, to nominate an “illegal Prime Minister” for confirmation by His Majesty the King must be abandoned. 2. Eventually, if the ECT continues to put off the holding of a fresh election, AFDD is of the considered opinion that the Caretaker Government by itself has the full authority to issue a Royal Decree to fix the new date of fresh election. The Acting Prime Minister, Mr. Niwatthamrong Boonsongpaisan, is legally authorized ex officio to countersign the royal command in his own capacity. No provision in the 2007 Constitution provides against the Acting PM performing his duty on such a matter. Please note that according to the Electoral Integrity study by researchers from Harvard University and Sydney University, Thailand’s 2 February 2014 election is ranked as one that satisfactorily meets international standards in terms of legal integrity. What has failed to meet the standards was the performance of the ECT themselves and the attempt by PDRC to derail the election, leading to rampant political violence. 3. All parties must refrain from acts of violence that so far have brought about massive causalities and considerable damage to properties of both the private and governmental sectors. In particular, any attempt to intervene in and intimidate work by journalists must be stopped. 4. A political reform must be carried out to ensure that all political institutions, the administration of justice and the state bureaucracy are accountable to the people. However, such reform cannot possibly be achieved simply by listening to just one group of people who are taking to the streets or those who abuse their authorities in the constitutional organs. A reform must begin by responding to the needs of diverse groups of people and advance on the basis of an inclusive and equal partnership, without which a reform will merely serve as an excuse for the elites to grab power and hold on to their own vested interests.